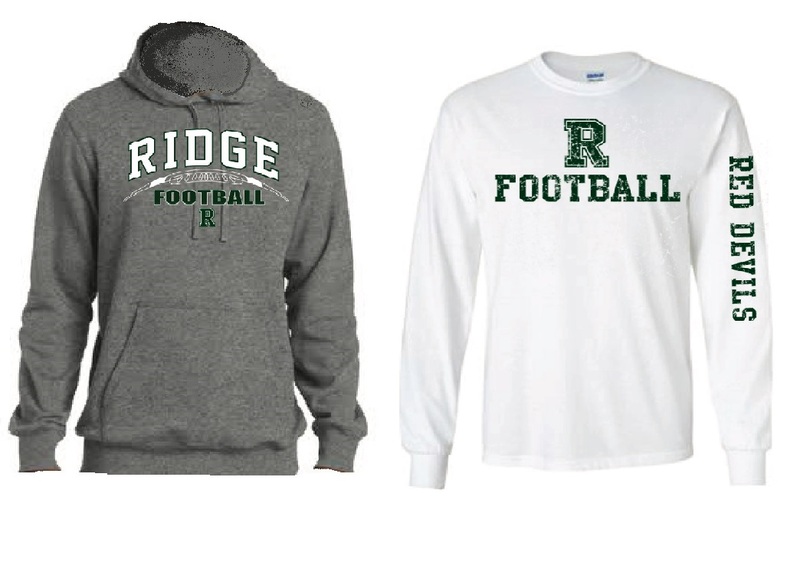 Ridge Football Apparel will be avaiable for sale and at all home games! 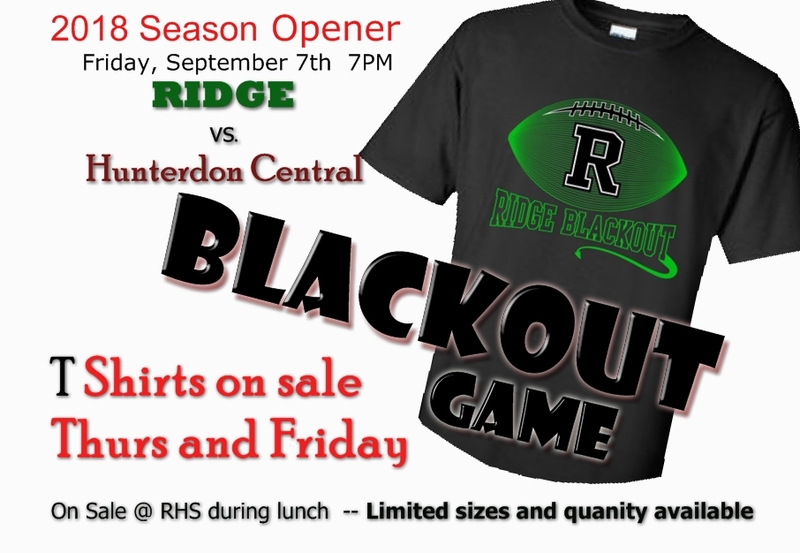 Blackout and pinkout shirts will be available the week prior to the game at RIDGE HS during all lunch periods. Get yours early as we often sell out!